The Newport Beach Pier is one of the most photographed piers in the world. 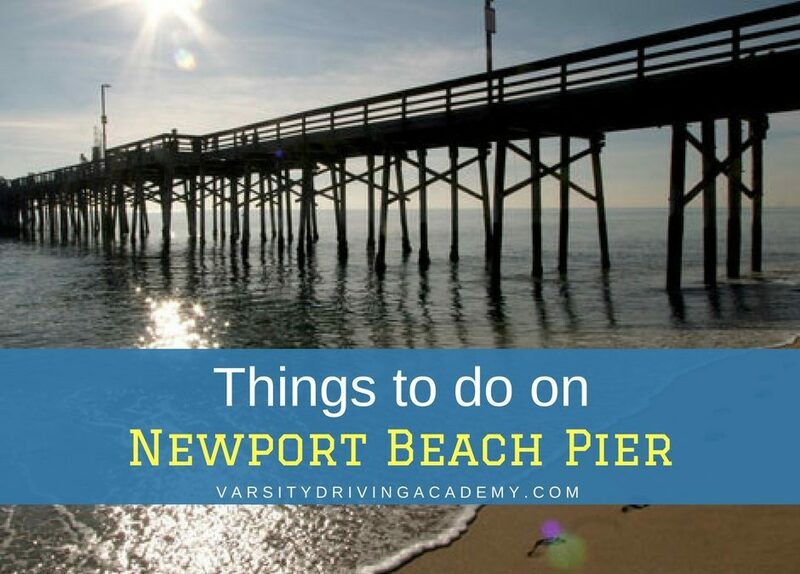 Surrounding the pier is a ton of activities and things to do all year long. People travel to Newport beach for the luxurious eats and shops, water activities and sand, and just to escape and relax while getting pampered. Everything in Newport Beach is taken to a higher level of luxury. Pack your bags and head out to Newport beach for a weekend of fun and relaxation. 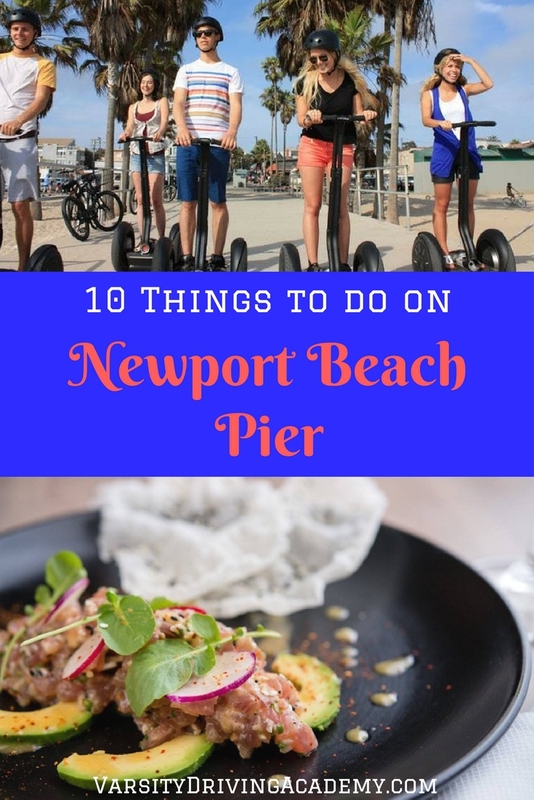 After you’ve snapped a pic of the Newport Beach Pier, head to one of the many things to do in the area that you will surely enjoy. Hornblower Cruises is a yacht company that hosts dining events and charter luxurious yachts. These yachts provide premier dining experiences with amazing views and offer a Sunday Champagne Brunch Cruise every Sunday. Newport Paddle Company offers your chance to get out on the water in style. The company offers paddle boards and kayaks and an afternoon of fun on the ocean. Another great way to experience the water is to get a glimpse of the life below. 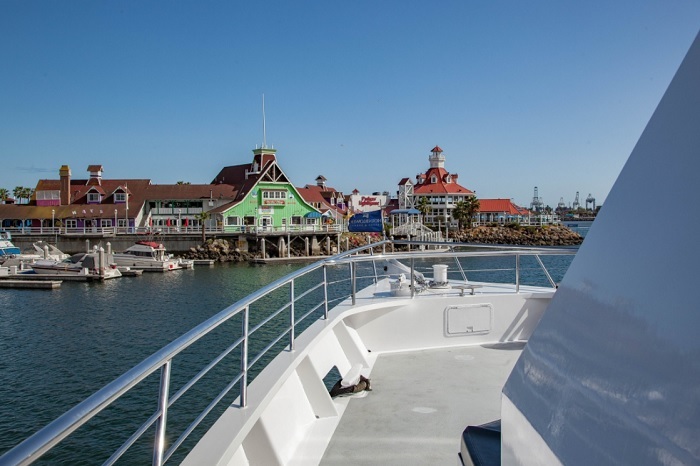 Newport Coastal Adventure has whale watching tours available. Taking 6 people at a time out onto the water offers a more personal experience to guests and better encounters with wildlife. If being out on the water isn’t your favorite thing to do, you can always stay on land. 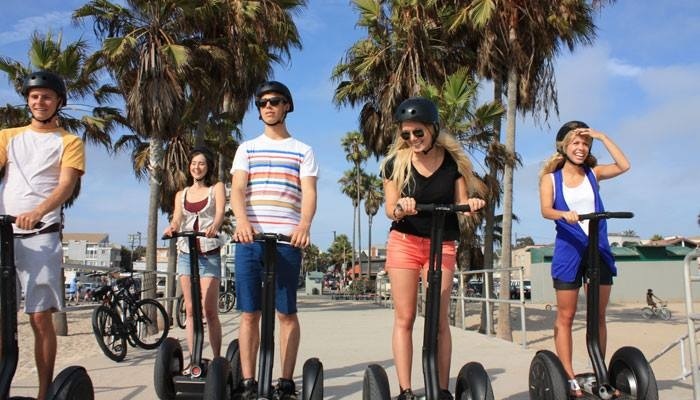 Segway Tours Orange County provides everyone with the opportunity to take a Segway tour around Newport Beach. The tours have three different start points, by the ferry, the Fun Zone, and Balboa Pier. Another great way to get around near the pier is on an electric bike. Pedego Electric Bikes allow you to rent their electric bikes to take on a tour around the area. Not only can you rent electric bikes, you can also rent kayaks, paddle boards, and surf boards. The high-quality rentals offered at Pedego make it easy even for first-timers. After a day filled with activities, you’ll probably need some food. BlueWater Grill is one of the most popular seafood restaurants in Newport Beach. 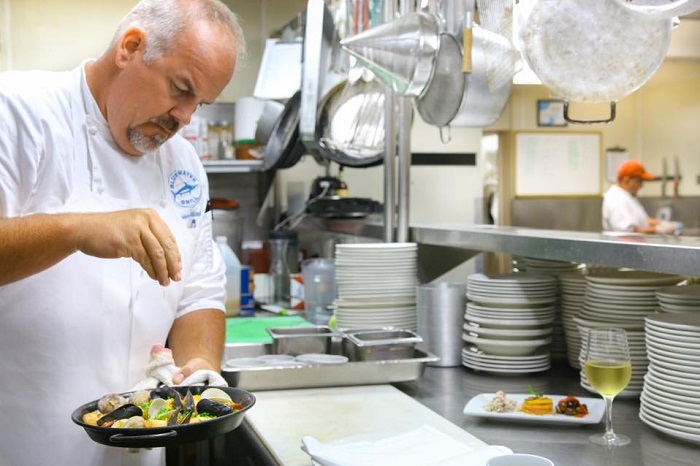 There are over 40 different types of seafood options, all fresh and delicious. The grill even has a great patio seating area and boat dock to enjoy. Seafood is not hard to find near Newport Beach Pier. Shor American Seafood Grill is a top-notch seafood restaurant that serves breakfast, lunch, and dinner. Popular dishes include the Valencia Orange French Toast, Point Reyes Beef Burger and the Diver Scallops. 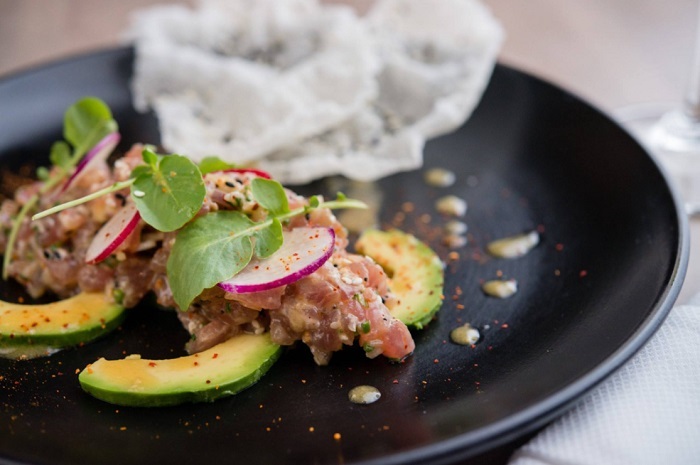 If you want to dine with an amazing view of Newport Beach Pier, head to 21 Oceanfront. Luxury is served with every plate and it can be seen in the details. The decor is turn-of-the-century luxury and they offer prime meats, fresh seafood, and is known as the most romantic place to eat. Another example of luxury near the Newport Beach Pier is Five Crowns. Five Crowns is known for its friendly service that makes guests feel like celebrities. Adults, don’t forget to pair your prime rib dish with a glass or two of wine off the amazing wine list at Five Crowns. If you want a more beach-like experience, the Beachcomber is where you want to eat. Here, the setting is more laid back as the steps from the patio lead right onto the beach. The atmosphere is definitely more relaxed and can be enjoyed by everyone.